The Aji Pineapple is a rare variety supposedly named for it’s slightly Pineapple taste. 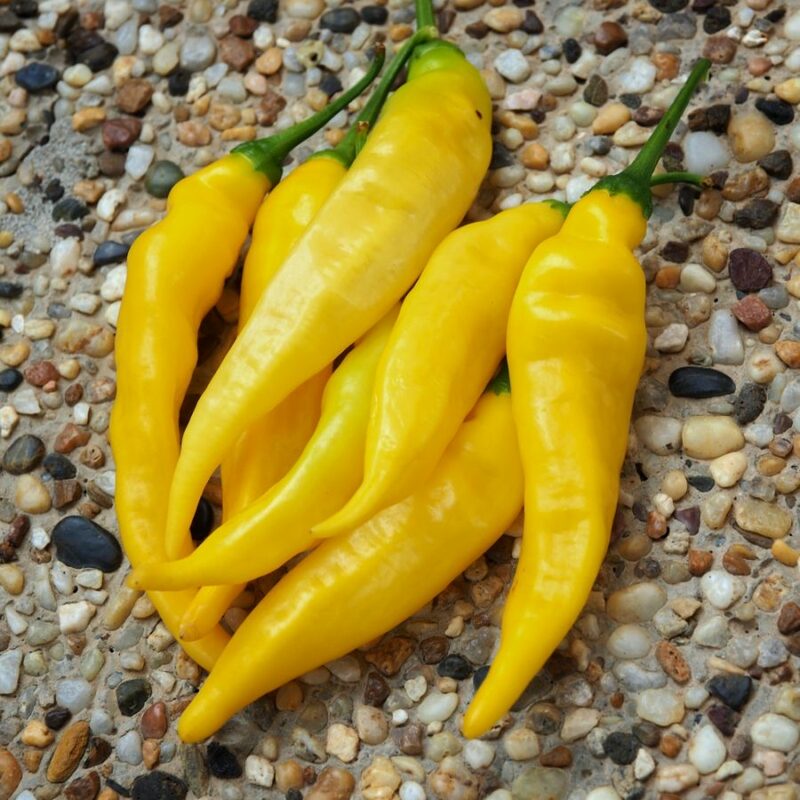 They are often confused with Aji Limon but they have more ridges along the sides that distinguish them apart. Like other Aji’s it is very productive chilli pepper plant. Peppers ripen from light green to light yellow and tend to be crawlers. They average about 3 inches long and 1/4 inch thick. Great for making a medium sauce or salsa.